Three days ago National Security Advisor, John Bolton, tromped out in an extra ready-for-war stache and flying elephants necktie — if you ignore the overly fancyman ring, the most disturbing part of this narrative — to perform a bit of stage prop political theatre, “5000 troops to Colombia”. 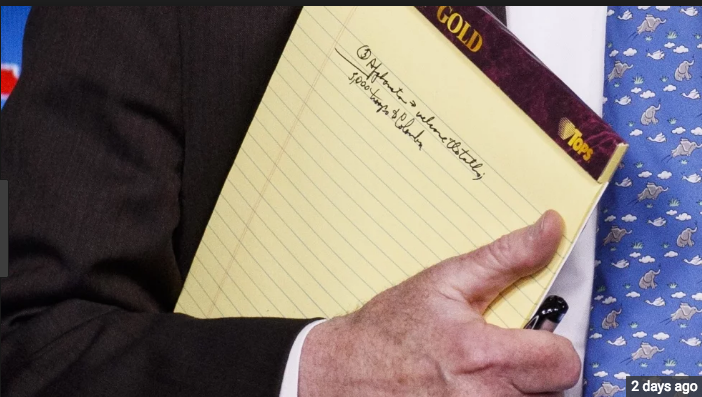 Had his goal been to stir warmongering zeal at home, the spectacle was a miserable fail, however, it didn’t do so badly if it was designed to push the Venezuelan government into thinking that it was about to be in a ground war and Bolton’s notebook represented the enemy’s first shot. Not to be outdone Rep. Ted Lieu, serial seat climber and Russiagate fanfic author, added his own twist. As did a Milwaukee City Council member playing along with “5000 troops to Bay View” — a chichi neighborhood in Milwaukee, as seen on PBS! So the Bolton Challenge, lovely readers, is to make your own awesome tweet with a message even more salacious than Bolton’s and yet pertinent to something besides murdering a bunch of folks who after 500 years of colonialism, inquisition, and being on the pointy end of the manifest destiny stick are now threatened with invasion. It’s Consumer America so of course there is a prize involved. 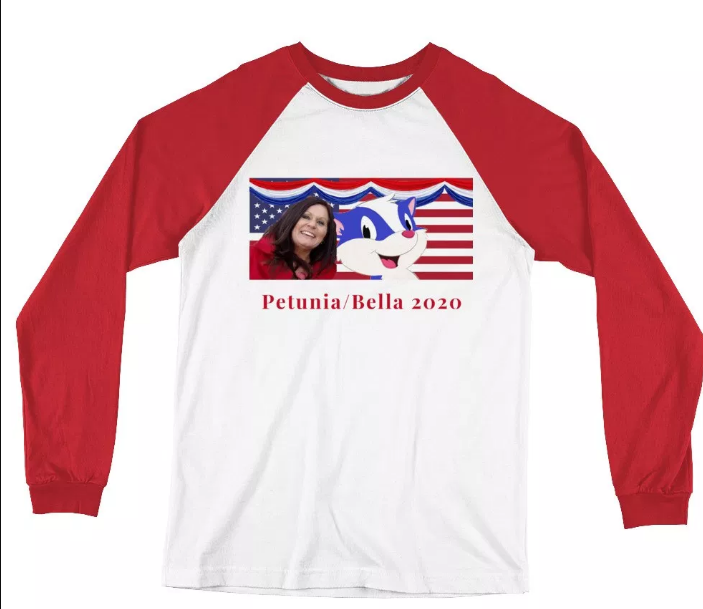 Ken Silverstein, the generous editor at Washington Babylon, has agreed to send the winner a Petunia 2020 t-shirt that normally retails for $30. Show your friends you’re at the vanguard of political awareness by acknowledging the only candidate in the race that doesn’t stink to high Heaven is a skunk! Good luck! Ana Bekoach is a prayer, but it's also my twitter nom de plume. I am also the Petunia 2020 campaign's Advisor on Israel-Palestine. 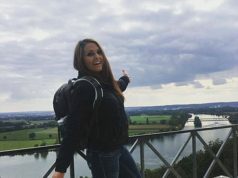 Internet Freedom or Bust: "You Are Being Censored By Mozilla Firefox's Pocket App"